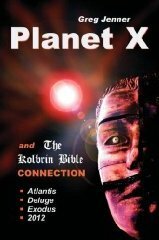 Author of "Planet X and the Kolbrin Bible Connection"
"Greg Jenner believes that the ancients were extremely clear in their warnings to us about Planet X. In this groundbreaking work, he details numerous correlations between prophecies of the Maya and those of other cultures with chilling clarity. Jenner believes The Kolbrin Bible to be the modern day Rosetta Stone of Planet X, because it clearly describes the destruction of Atlantis, Noah's Flood and Exodus. According to the Egyptian and Celtic authors of this ancient secular wisdom text, these cataclysms were triggered during previous flybys of Planet X." Author of "The Jenner Files"
1. Brown Dwarf (AKA Planet X) News Articles. 2. Binary Sun (Brown Dwarf) Iconography. 3. Brown Dwarf Winged Disc Images. 4. Destroyer (Brown Dwarf) Prophesy Quotes. Do all these images and text files relate to a returning celestial object? The answer is a resounding yes! Go to http://yowusa.com/planetx/jennerfiles/index.shtml for more details. Let’s think outside the box for a moment. Ever wondered if the Sun has a twin sister? Did you know over 80% of the stars in the galaxy are binary, so why wouldn’t our Solar System be any different. Yes, we have another sun. This is a well kept secret that I believe some are privy to. The tight-knit scientific community would scoff at such a thought because it doesn’t “conform” to mainstream views. In a way established science can be an arrogant form of mundane rationalism purposely limiting mankind’s desire to think. We let a child’s curiosity flourish with unlimited bounds, yet when children become adults their curiosity becomes controlled by the modern paradigm of science. I call this the politics of science, a mere façade that can easily conceal just as much as it claims to have discovered. And our second sun is a great example of this. My esoteric research is devoted to kindred spirits breaking down this concealment. It is my right to have these thoughts without being threatened by the grip of scientific censorship. One shouldn’t fear entering the water just because there are sharks in the sea. So to all the inquisitive minds out there like me, I compel you to keep thinking outside the box when reading my essays. For you will recognize after careful examination that our solar system does indeed have a binary companion. A truth far stranger than mundane rationalism. Drove through the town of Dulce, New Mexico. A sleepy little community said to house an underground Alien Base and also a hot-bed for cattle mutilations, 1993. Drove through the town of Roswell, New Mexico, 1993. Visited the Grand Teton Mountain Range, Wyoming, July 2005. 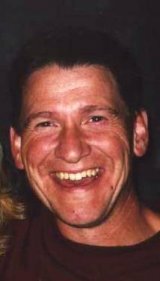 'Cut to the Chase' with Marshall Masters, 2007.